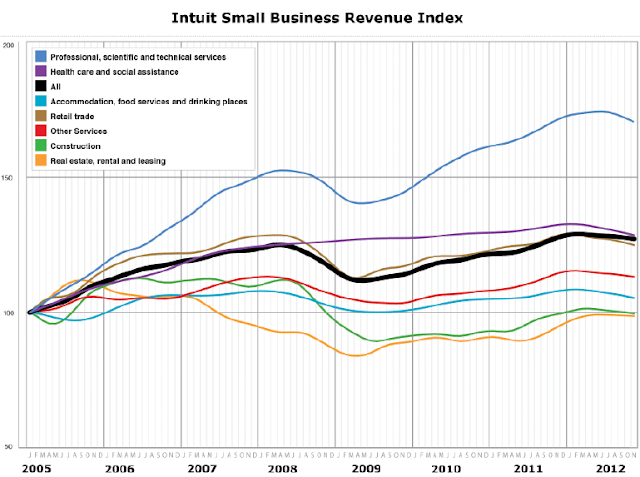 According to Intuit, after a gradual recovery since 2009, US small business revenues have been consistently declining for most of 2012. Recent declines have lasted for 9 consecutive months (in black below) and are visible across all major industries. 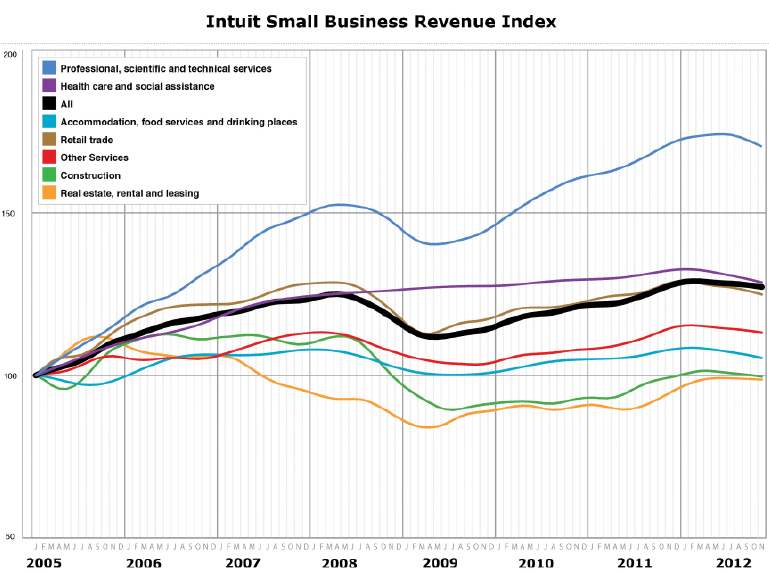 The smallest decline has actually been in the real estate sector, where revenues haven't grown since 2005. The ongoing declines in revenue explain the persistent weakness in small business sentiment in recent months (see discussion).